August 20, 2018 (Washington, D.C.) – Judge Manish S. Shah of the United States District Court for the Northern District of Illinois has appointed Hilary Scherrer to serve on the Plaintiffs’ Steering Committee in In re: Chicago Board Options Exchange Volatility Index Manipulation Antitrust Litigation (Case No.1:18-cv-04171; MDL No. 2842). Hilary Scherrer, a partner in Hausfeld’s Washington, D.C. office, played a key role drafting the class action complaint which alleges a number of trading firms and financial institutions conspired to post bids on certain Standard & Poor’s 500 options during a “fixed, short window” of nontrading hours to influence the CBOE-Special Opening Quotation formula that calculates settlement prices of options and futures that are traded based on the volatility index, or VIX. This appointment follows her success in litigating the In re Libor-Based Financial Instruments Antitrust Litigation in the Southern District of New York, in which settlements of $590 million have been reached with four defendants. 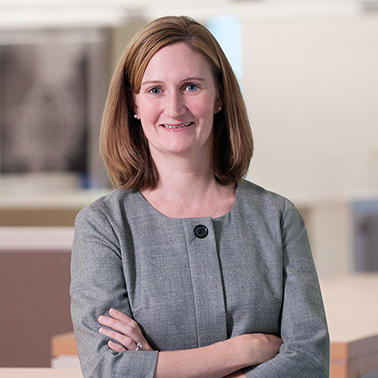 Hilary will serve on the Plaintiffs’ Steering Committee along with David C. Frederick of Kellogg Hansen Todd Figel & Frederick PLLC and Erin C. Durba of Motley Rice LLC. Kimberly A. Justice of Kessler Topaz Meltzer & Check LLP and Jonathan C. Bunge of Quinn Emanuel Urquhart & Sullivan LLP will serve as co-lead counsel. Hausfeld is a leading global law firm with offices in Berlin, Boston, Brussels, Düsseldorf, London, New York, Paris, Philadelphia, San Francisco, and Washington, DC. The firm has a broad range of complex litigation expertise, particularly in antitrust/competition, financial services, sports and entertainment, environmental, mass torts, consumer protection, and human rights matters, often with an international dimension. Hausfeld aims to achieve the best possible results for clients through its practical and commercial approach, avoiding litigation where feasible, yet litigating robustly when necessary. Hausfeld’s extensive experience with alternative and innovative fee models offers clients a diverse menu of engagement options and maximum flexibility in terms of managing their cost exposure.